The Environmental Protection Agency has finally taken a tougher stance on mountaintop removal coal mining, announcing Thursday that it would clamp down on the industry practice of blasting apart mountains and dumping the rubble into mountain streams. It’s not clear whether last week’s colorful protest outside the EPA played a role, but it certainly couldn’t have hurt. The announcement came as very good news to environmentalists dispirited by Obama’s support earlier in the week for massively expanded offshore oil drilling. The administration’s new automobile fuel efficiency deadline—a fleet average of 35.5 mpg by 2016—also announced Thursday added even a little more spring to the step of greens. 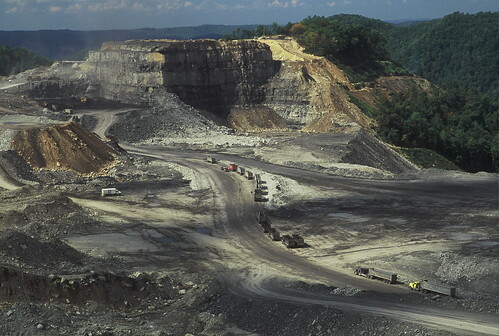 … the nightmare of mountaintop removal appears to be coming to the end of a long and tortuous road of regulations. Coal River Mountain Watch co-director Judy Bonds was chosen as a 2009 Utne Visionary. Image by the Sierra Club, licensed under Creative Commons.